Weight : Approx. Ten Kg Including Cooking Pots. 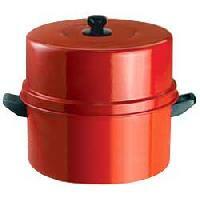 Size of the Cooker : Uv Resistant Molded Fiberglass Body 540 X 540 X 200 Mm. 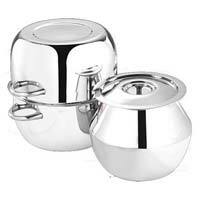 Cooking Pots : Stainless Steel, Hard Black Coated Cooking Pots with Lid. 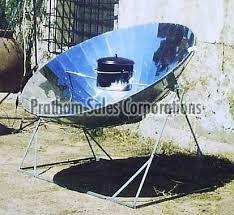 Energy Source : Solar + Low Wattage Power. Tray Material & Coating : Aluminum Sheet, Black Painted of High Heat Absorption and Low Emission. Features : Bright Mirror Polished,Cool- Touch Bakelite handlesetc. 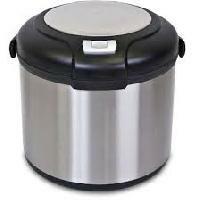 Trinity Home Appliances India Private.. 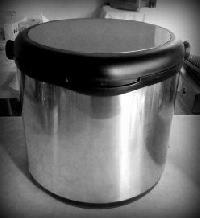 Size of the Cooker : Uv Resistant Molded Fiberglass Body 540x 200 Mm. 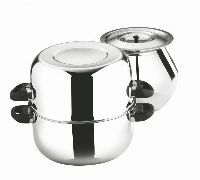 Cooking Pots : Aluminum, Hard Black Coated Cooking Pots with Lid. Total Weight : approx. Ten Kg Including Cooking Pots. 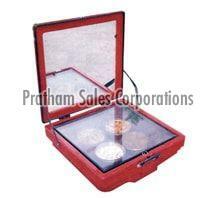 Power Source : 220/110 Volts, But Can Withstand Mild Voltage Variations, 40 to 60 Cycles. 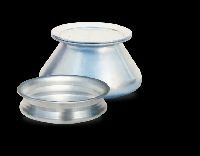 Tray Material & Coating : Aluminum Sheet, Black Painted of High Absorption and Low Emission.